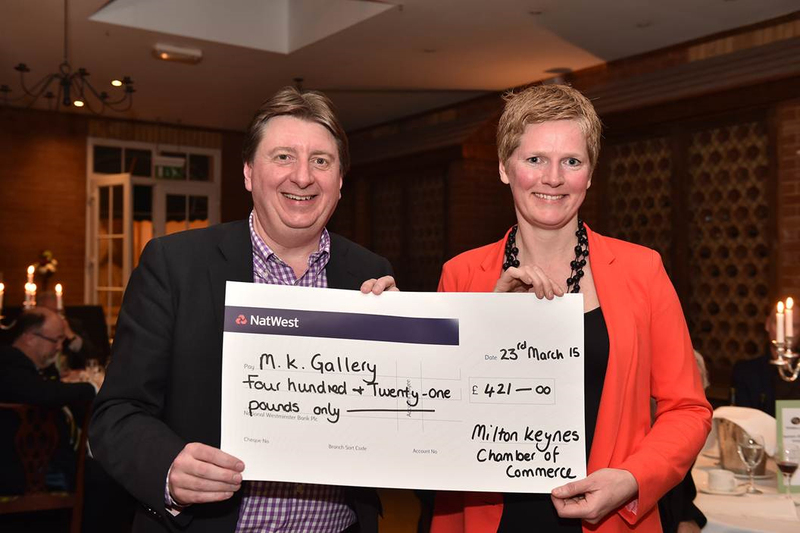 Last year Milton Keynes Chamber of Commerce supported MK Gallery as its Chamber Charity of the Year 2014/2015. A total of £421 was raised for MK Gallery by the Chamber staff and member companies through a series of activities which included a Chamber Charity Golf Day and a raffle at a Christmas charity lunch, both held with its sister organisation Northamptonshire Chamber of Commerce. 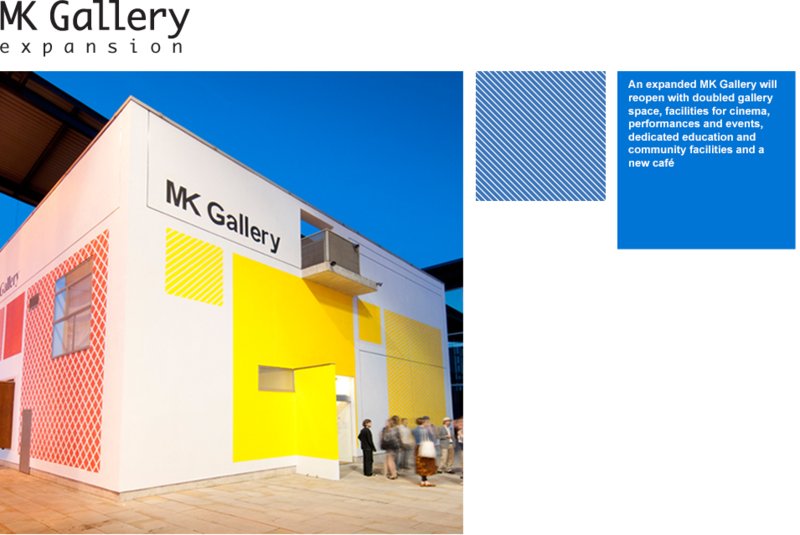 These funds will be put towards the MK Gallery expansion. Paul Griffiths, Chief Executive of Milton Keynes Chamber of Commerce, presenting a cheque to Clare Wood, Head of Development at MK Gallery, at a Business Alliance Group dinner.